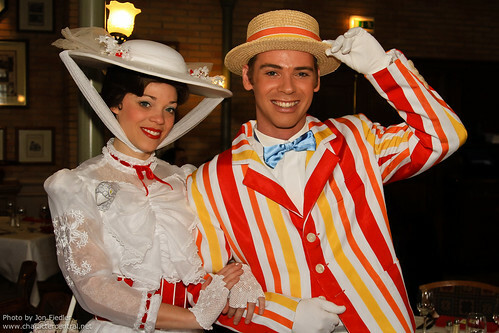 Mary Poppins invites you to tea and join her on her Jolly Holiday with all her London pals. 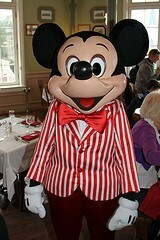 Mickey and friends will be there too! 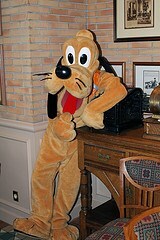 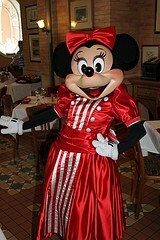 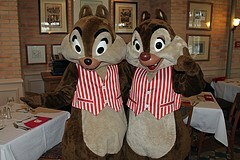 The characters make their way around the dining room, and will stop at each table for pictures. 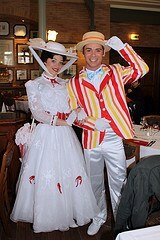 The London Brunch is one of the regular "rotating" themed brunches that the Disneyland Hotel offers. 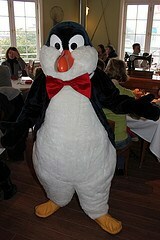 You will need to call ahead to check when the next one is, and to make an advanced reservation.